Creating the coziest and happiest-looking home isn’t that difficult. Forget the fancy-shmancy expensive home decor, and just think of one thing: greenery. Yes, plants. Bringing a touch of nature into your home will not only make it lovelier but more importantly, it’ll just make your home environment naturally calmer, more relaxed, more productive, and of course, happier. Don’t just think window sills. Make use of other display spaces in your home like your picture ledge, fireplace mantle, book shelf, or even your bed’s headboard. As small or narrow they could be, you may still adorn them with gorgeous plants like eucalyptus, succulents, cacti, and more. Keep the rest of the decor (if any) neutral so that the plant will stand out. If you’re feeling a bit more of the rustic chic vibe, then this plant basket is perfect for your home. Whether spring, summer or fall, this lovely plant basket will surely be an eye-catcher and conversation-starter whenever you have guests. A pumpkin basket is perfect for this look, but feel free to use any other rustic basket (or a woven bag will do too) that you already have. Any green plant will do, just make the arrangement look more plump and bountiful by adding elements like straw wheat, flowers, etc. If you’re not much of the craftsy-decorator type of home owner, then maybe this idea’s perfect for you. Growing herbs like basil, thyme, parsley, and rosemary is so much easier than you think. Now if you don’t want these herb plant pots to occupy space in your kitchen counter, then you can do a vertical herb garden like this. Give the plant-inside-a-pillar-candle-holder a nice twist and take your greenery decor to a different level by creating floating greenery. Try this trick: a simple floating candlestick centerpiece with simple greens floating in the water. 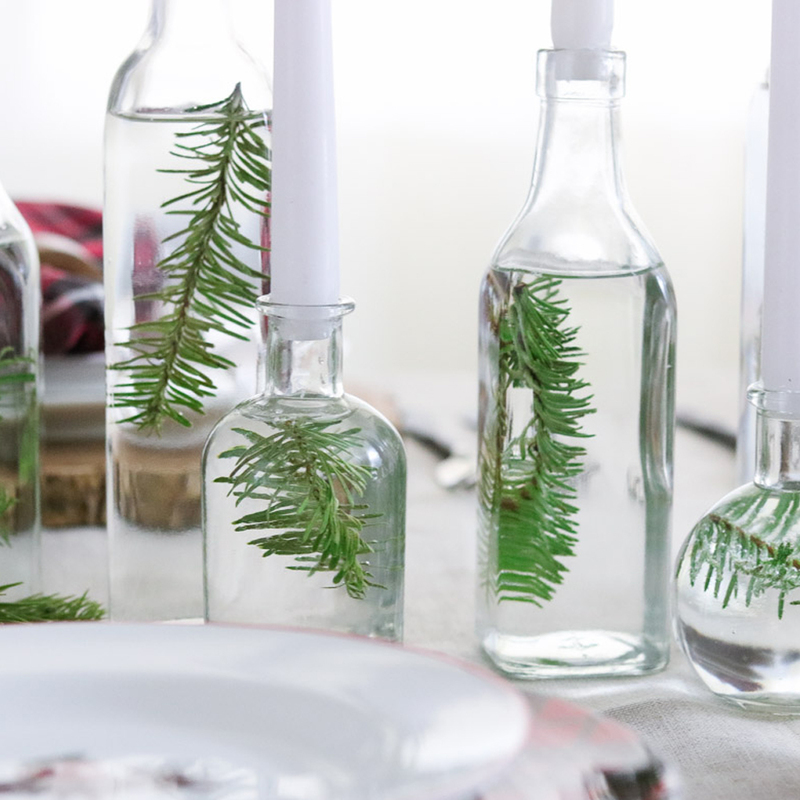 Just grab those old clear liquor bottles, add water, put your rosemary, fern, or magnolia leaves, then seal with a candlestick--voila! You already have a simple yet lovely centerpiece that your guests will absolutely love! Aerial plants and succulents are incredibly easy to keep alive indoors. So if you really want to brighten up your space by giving it a touch of nature, then hanging these low-maintenance plants are your best bet. And to give it a modern chic style, pir with macrame hangers just like this one. Another good thing about this is that it’s easy to replace the plants whenever you feel like it--no need to change pots! Your home deserves nothing less. 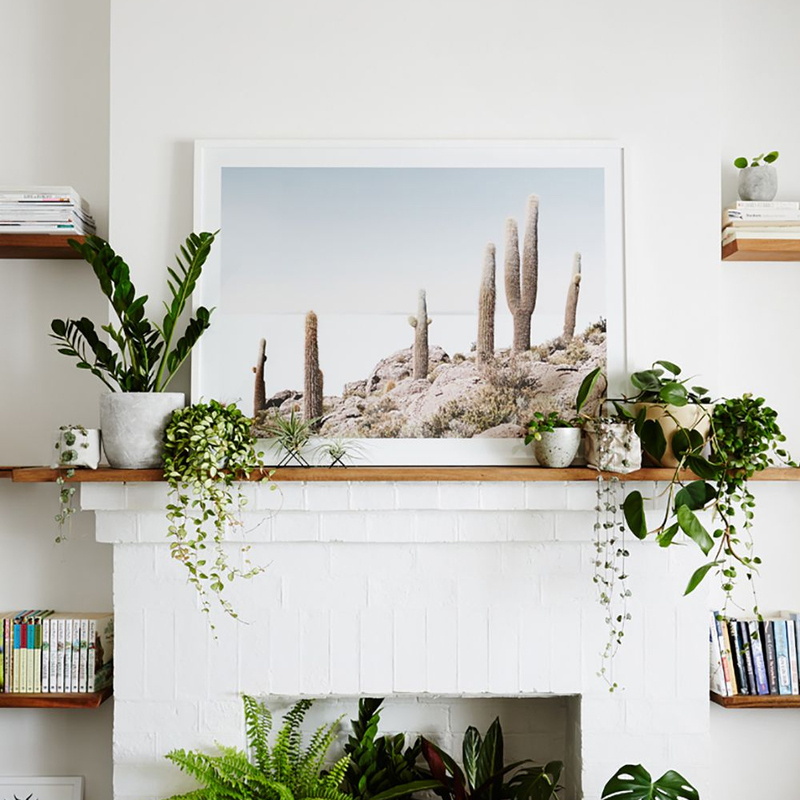 Create that modern, dreamy and elegant bohemian vibe in your humble abode with help from the California Home Goods Macrame Plant Shelf Hanger. Hung off a hook in your wall or ceiling, this simple yet lovely accessory is perfect to showcase succulents, air plants, and other greenery in your home.